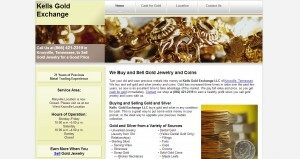 Kells Gold Exchange address, phone, website, and more. 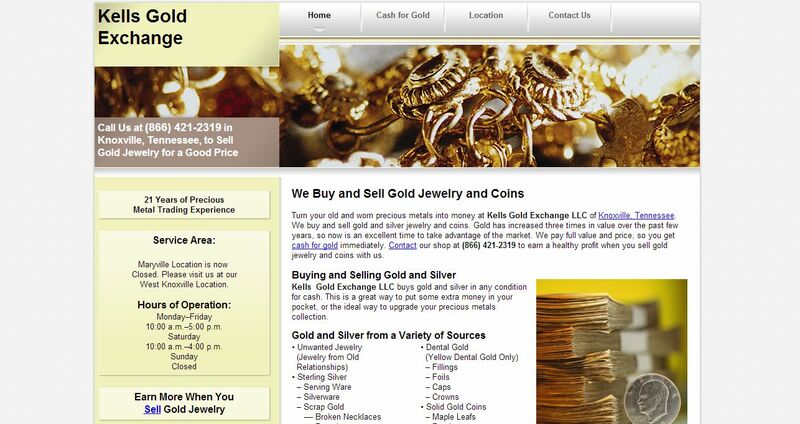 Kells Gold Exchange LLC buys gold and silver in any condition for cash. This is a great way to put some extra money in your pocket, or the ideal way to upgrade your precious metals collection. Turn your old and worn precious metals into money at Kells Gold Exchange LLC of Knoxville, Tennessee. We buy and sell gold and silver jewelry and coins. Gold has increased three times in value over the past few years, so now is an excellent time to take advantage of the market. We pay full value and price, so you get cash for gold immediately.